A.P. Moller-Maersk said on Tuesday it had abandoned a planned ship pooling network after China's Ministry of Commerce surprisingly announced it had not approved it. Maersk shares were down 6.2 percent at 1100 GMT compared with a 0.7 percent fall in the Danish benchmark index . The idea, known as P3 and announced last June, called for the company along with Swiss firm Mediterranean Shipping Company (MSC) and France's CMA CGM to pool about 250 ships to cut costs. "This is very negative for Maersk. They won't achieve about one billion dollars in cost savings, equivalent to 5-6 percent of unit costs," analyst Jacob Pedersen from Sydbank said. P3, with the world's three biggest container shipping companies, was intended to be an operational cooperation, and in March the U.S Federal Maritime Commission decided to allow the network agreement to become effective in the United States. On June 3 the European Commission informed the partners that it had decided not to open an antitrust investigation into P3 and had closed its file. "The decision does come as a surprise to us, of course, as the partners have worked hard to address all the regulators' concerns," chief executive Nils Smedegaard Andersen said in a press release. According to Andersen the P3 alliance would have enabled container shipping company Maersk Line, which is fully controlled by A.P. 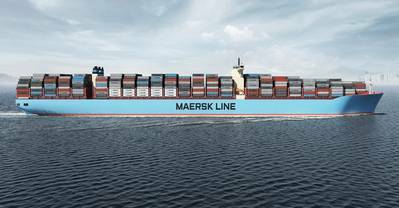 Moller-Maersk, to make reductions in cost and CO2 emissions. "Nevertheless, I'm quite confident Maersk Line will accomplish those improvements anyway," Andersen said. While the container shipping industry as a whole has struggled to make money in a market with to many vessels and to little goods to move, Maersk Line has improved earnings the last five quarters.